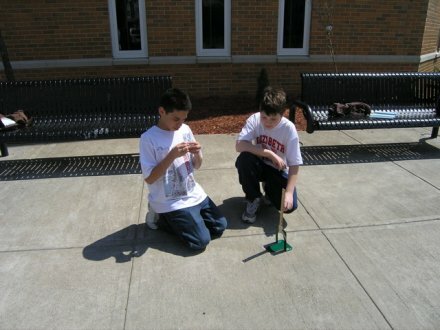 It was 2,200 years ago when a librarian in Egypt came up with a way to measure the earth’s circumference. 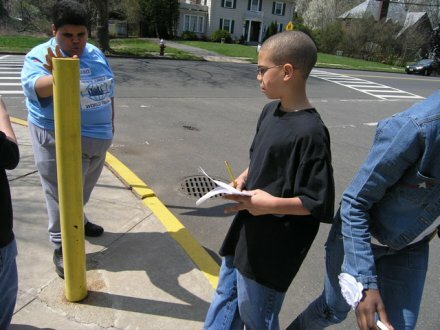 He knew the Earth was round, but wanted to know just how big it was. 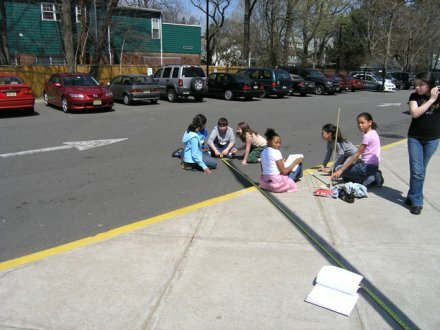 On May 1st, 2006 Ms. Murphy’s 6th grade class replicated Eratosthenes’s experiement coming up with surprisingly accurate results. Westminster was one of 152 classes around the world participating in an online project run by CIESE at Stevens Institute of Technology. 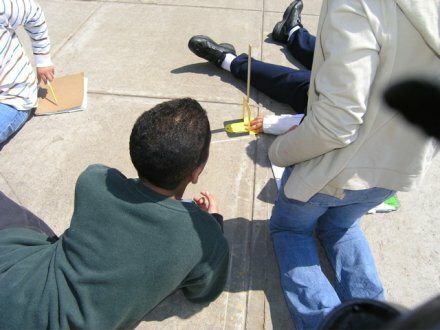 On the following day the students in their groups drew scale drawings of their gnomon (or measuring stick) and shadow so they can determine their sun angle. 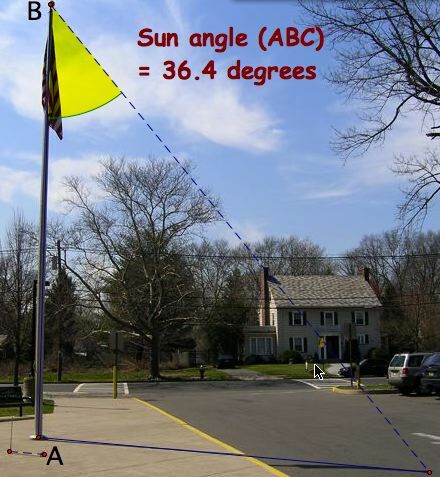 The flag pole group came up with the most accurate sun angle measurement. 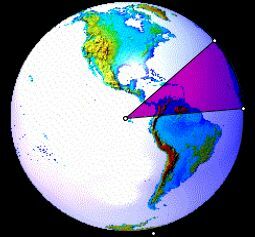 The sun angle is also the measurement of the central angle of the earth. 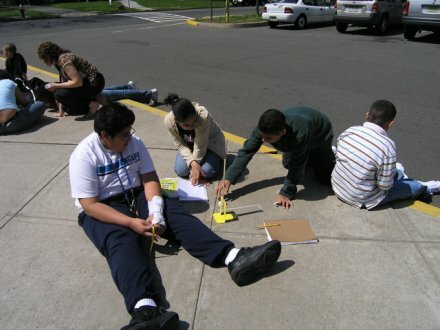 The distance from Westminster and the place on the earth where the sun castes no shadow on May 1 is 4,041 km. 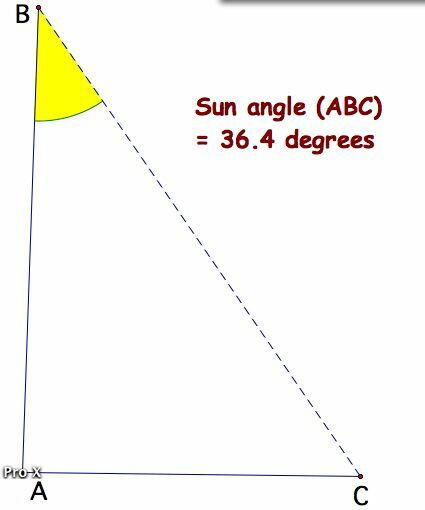 Since there are 360 degrees in the rotation of an angle around circle there will be approximately 10 "slices" with a measurement of 36.3 degrees. 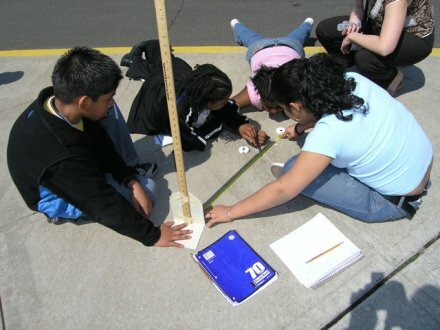 This means that the group came up with a circumference of 4041 * 10 or approximately 39,965 km which is only off by 1% from the actual measurement. 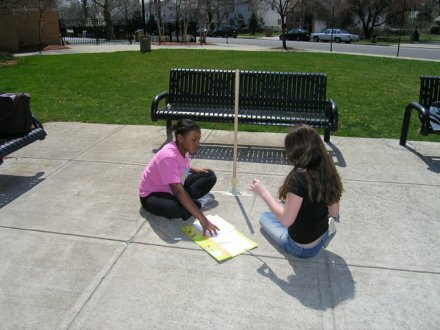 That’s pretty good measuring using only shadows! en Archives 2005-2006-2007 2006 ?